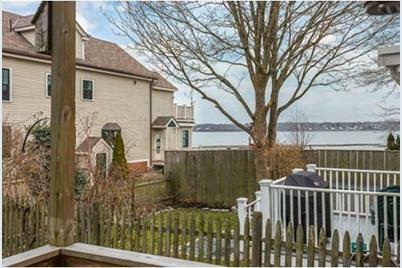 Walk along the edge of Salem harbor on your way home to this tranquil 2 bedroom condo located in the Historic Derby Street Neighborhood. Ocean peaks from the kitchen as well as the back deck. Updated kitchen with granite counter tops and stainless steel appliances, in-unit laundry, hard wood floors, soaring ceilings. Most residents in Salem don't even know this dead end street even exists! The perfect combination of a quiet getaway located just steps from all the action! 5 Daniels Street Court #1, Salem, MA 01970 (MLS# 71972648) is a Condo property that was sold at $255,000 on May 31, 2016. Want to learn more about 5 Daniels Street Court #1? Do you have questions about finding other Condo real estate for sale in Salem? You can browse all Salem real estate or contact a Coldwell Banker agent to request more information.